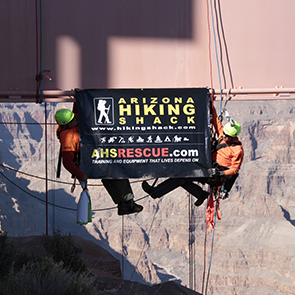 AHS Rescue is a leading supplier of critical rescue equipment to individuals that work at height, providing the best rope access equipment in the industry. 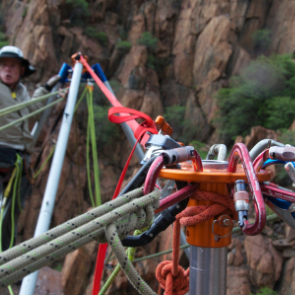 AHS Rescue is a leading supplier of critical rescue equipment to individuals that work at height, providing the best rope access equipment in the industry. 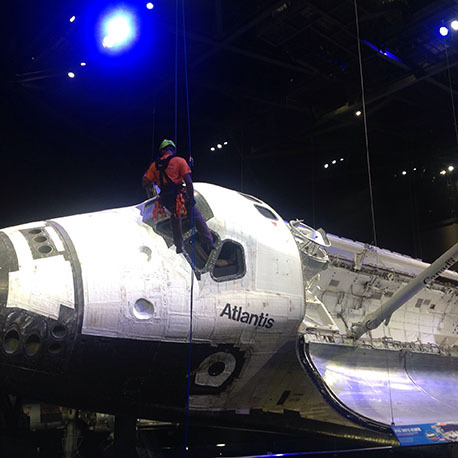 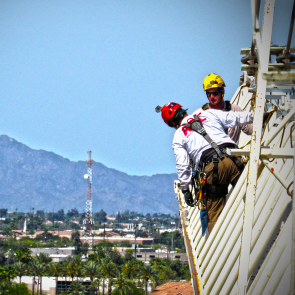 Our equipment is used around the world by various professionals including utility tower workers, bridge construction and inspection workers, construction personnel, over-the-edge professionals such as window washers and any other industrial application requiring rope access techniques. 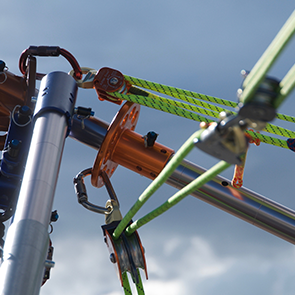 AES Aztek Elite Kit– This rope access tool has two double pulleys to minimize gain between them, while still allowing up to 5:1 mechanical advantage. 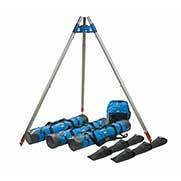 This kit features swivel Omni pulleys that are hewn from solid high strength aluminum and engineered to withstand more than 8,000 lbs end to end of tensile force. 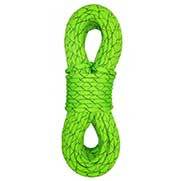 Versatility and efficiency make this a valuable rope access tool, with one end of the double zippered pouch providing immediate protection for approaching an edge. 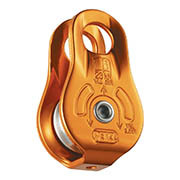 The other side contains mini MA (SOFs) that can be deployed in a wide variety of rigging applications including tensioned back-ties and guying for artificial high directionals, hauling systems, and dynamic brake racks. 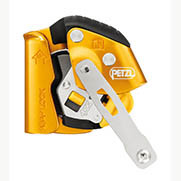 Full Body Work or Rescue Style Harness – AHS Rescue carries compliant fall protection harnesses such as the Petzl AVAO Bod Fast. 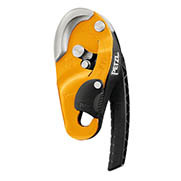 The Petzl AVAO is a comfortable fall protection harness with an X-shaped dorsal construction to alleviate pressure points during prolonged suspension, allowing a user to hang longer in case of a fall. 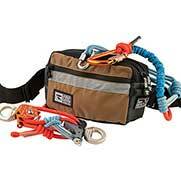 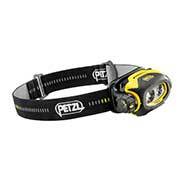 With multiple equipment loops and retainers, this harness is convenient for carrying additional tools. 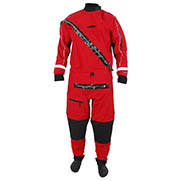 The Yates Basic Rope Access Professional Harness is an enhanced version of the Basic Rope Access Harness, with new aluminum lightweight D rings used on side, chest and dorsal positioning fall protection connections. 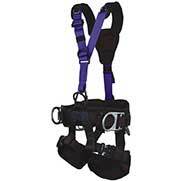 The Yates Professional harness includes a wide waist pad for added comfort, removable shoulder pads and a convenient tool pouch system attached. 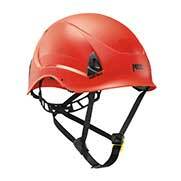 This top-of-the-line harness meets all OSHA and ANSI standards. 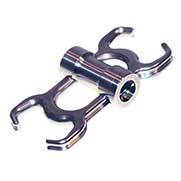 12 Locking Aluminum Carabiners – These will be used for personal and team use. 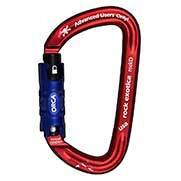 The best choice of aluminum carabiners for rope access are the auto lock type 3 and double auto lock type 4 which are easy to open with one hand. 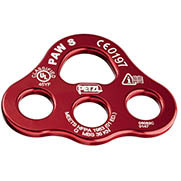 Be sure that the carabiner that you bring to class is simple to open and close with either hand independently. 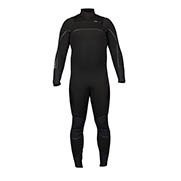 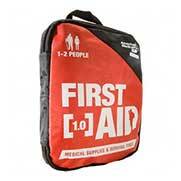 AHS Rescue provides these necessary items and much more, right down to your boots, helmet and first aid kit. 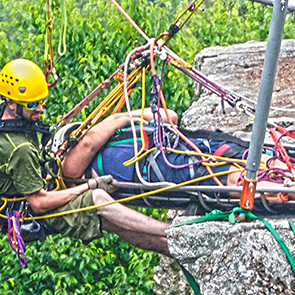 There is only one call you need to make to learn how to be fully prepared for all rope access conditions. 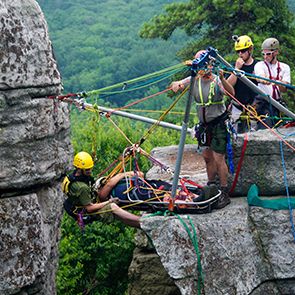 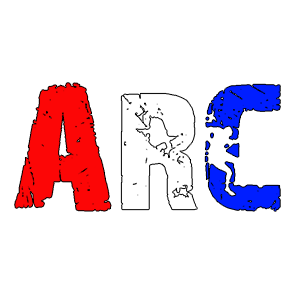 AHS Rescue is endorsed by the leading rope access training school in the nation, Ropes That Rescue, offering rope access skills training with Society of Professional Rope Access Technician (SPRAT) certified courses. 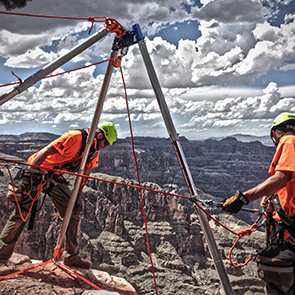 If interested in learning about any of our rope access training workshops or classes within AZ or the U.S, please complete the form or email us. 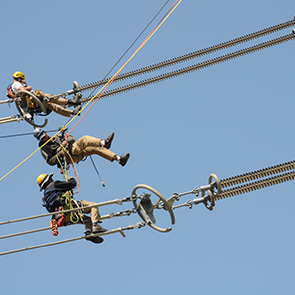 AHS Rescue is a valuable supplier to rope access professionals across the country, keeping workers safe in work at height conditions. 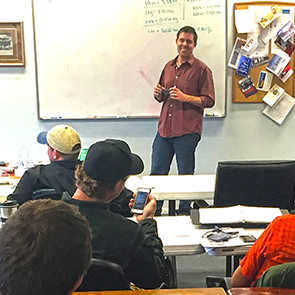 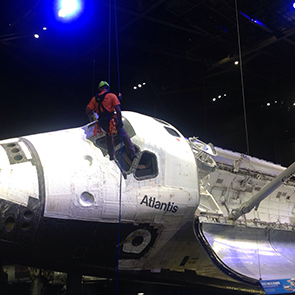 AHS Rescue is able to fulfill all your rope access equipment needs, and provide you a complete list of all necessary equipment which will be required for rope access training classes.